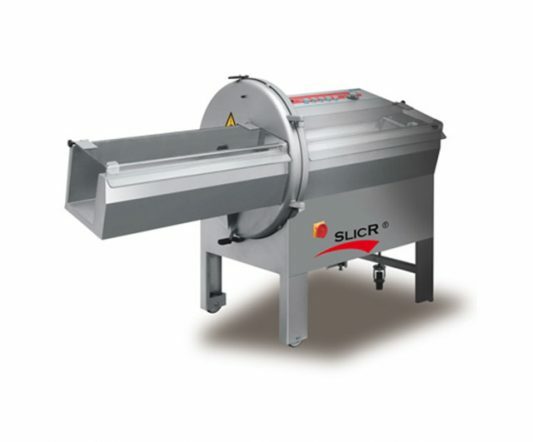 Foodlogistik Slicers are perfect for cutting and portioning of fresh and tempered frozen meat. With several models in range; the fast and accurate slicing of meat, chops, bacon, roasting meat, sausages and cold cuts is guaranteed. 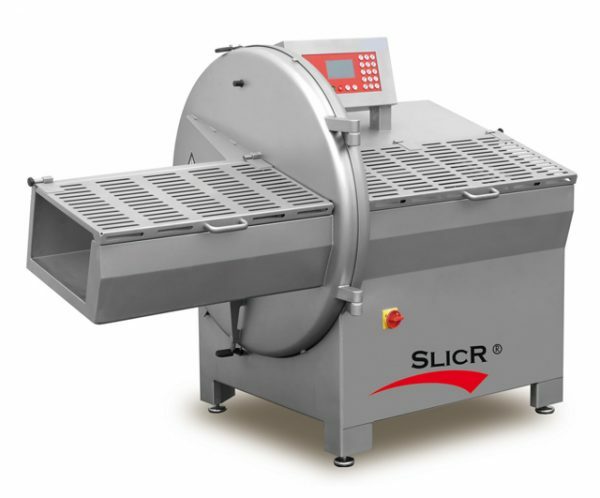 Foodlogistik’s SlicR Capacity range are suited to those looking for the ease of use of smaller models combined with higher throughput potential. 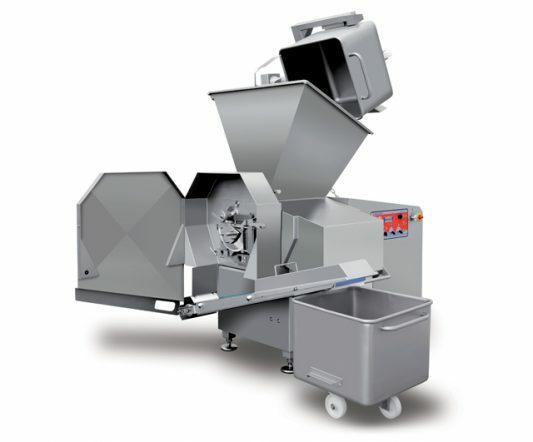 With the ability to deliver up to 600 slices/min and a portioning feature to stack groups of slices, this machine combines sheer volume with the bells and whistles usually sold as extras in other machines. 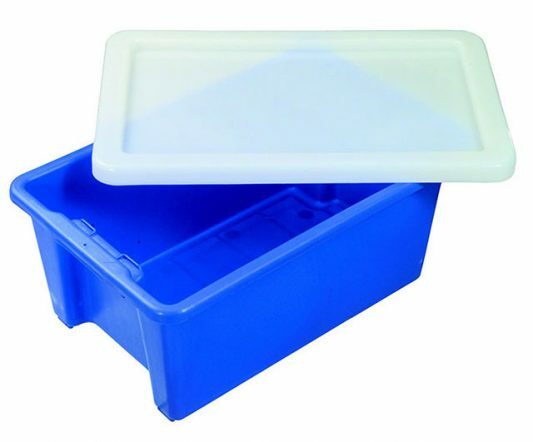 Provisioning cutting lengths from 0.5mm up to the size of the chamber, most cutting application requirements can be met by this model. Bone-in or boneless application down to – 4C. 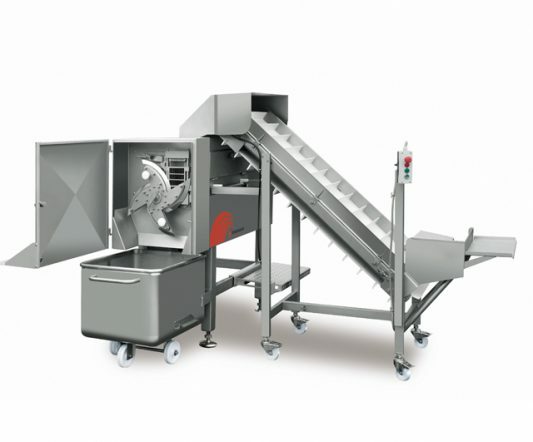 FOODLOGISTIK Slicer – the optimal machines for cutting of boneless and bone in meat.